If you competed in any of the above, at what level? Membership Type. Cheval Jordanstown CLG Membership only - by becoming a member of you have access to the grounds and can enter any non AIRC affiliated competition hosted on the show grounds. Both companies, the club all the shows and events are run entirely by volunteers. All Members are expected to volunteer. If I am accepted for membership, I agree to volunteer wherever possible at club, regional and national level. as a result of exposing yourself to the risks and hazards associated with riding as a sport. All members are advised to arrange their own personal accident insurance, and horse owners to obtain third party insurance. whether direct or indirect and including consequential losses arising out of any of the activities of this organisation or in any other way whatsoever. Yes. I agree to pay the Annual Membership on the 1st January in each year and understand that if my membership subscription is not paid by 1st January in any year, my/our membership to Cheval Jordanstown CLG and/or Cheval Riding Club CLG will automatically lapse. Yes. Cheval Joranstown CLG is a Company limited by guarantee of which I wish to become a Member, in the event of this application being accepted, I/We undertake, pursuant the Constitution to contribute to the assets of the Company in the event of its being wound up (not exceeding €2). Yes. I agree to Never Ride on my own on Cheval Jordanstown CLG's grounds, in Jordanstown, Swords, Co Dublin. I must always have another responsible person with me. Yes. I understand whilst mounted I must wear an ARC approved riding hat (PAS 015) or equivalent. EN1384 is not acceptable. Yes. I agree I have been advised by Cheval it is recommended to wear a back protector at all times mounted. Yes. 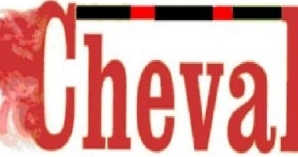 I am aware that Cheval have a safety statement and agreed to the rules therein. Make a cheque payable to Cheval Jordanstown CLG or transfer to the following * NEW BANK DETAILS * BIC IPBSIE2D IBAN IE28IPBS99061625374414 Please return to: Club Secretary Karen Kelly, 1 Castleview Grove, Swords Downs, Swords, Co Dublin. Signature If aged under 18, signed by guardian.